Two bothers, Ma Wing and Ma Tai escape their homeland and decide to head for Shanghai in a bid to boost their finances. Once in Shanghai the brothers discover that life is just aas hard as before and struggle with menial jobs until Ma Wing befriends a local gangster, Tam Sei. After rescuing Tam Sei from an assassination attempt the gangster provides Ma Wing with his own territory to control in Shanghai. Not satisfied with a small criminal territory on the outskirts of Shanghai Ma Wing decides he must expand his activities into the territories of other gangs. 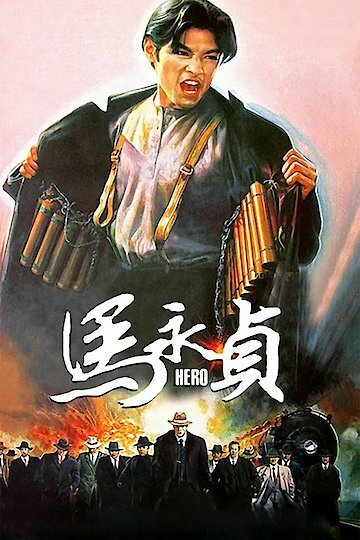 Hero is currently available to watch and stream, download, buy on demand at Amazon Prime, Netflix, Amazon, Google Play, iTunes, YouTube VOD online.